What does winning the Arnold Palmer Invitational mean for Rory McIlroy? It feels like the golf world can’t quite move on until Rory McIlroy has exorcised his Masters demons. A big year of golf awaits just as McIlroy has managed to win again. A sizzling 64 in the fourth round of the Arnold Palmer Invitational has the golfing world asking the same old questions again. 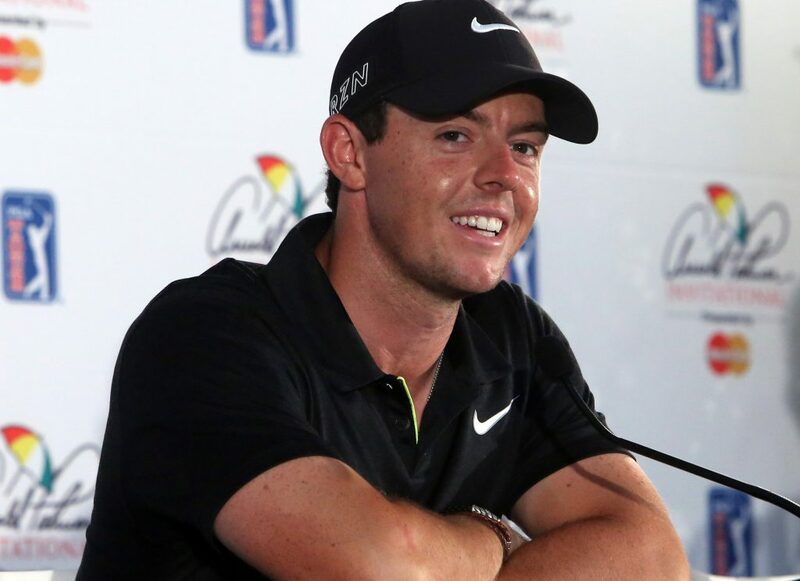 Will Rory finally be able to kick on and win more regularly? Winning the API has made him one of the favourites for a major in golf betting this year. That wouldn’t have been the case had he not won. Dustin Johnson’s dip in form is happening at the right time for McIlroy. To win majors or even golf tournaments you need an immense amount to go your way. The early signs are that the chips are falling for Rory. 2014 was a year to remember for McIlroy with the Northern Irishman winning two majors. It should have been the platform he used to kick on to greatness. In fairness, he has still set himself up well to complete the grand slam. By winning 4 majors before the age of 25 meant McIlroy had done all the legwork required to win a grand slam. The more time ticks by without adding to his major collection the more his early success may have been in vain. That is the concern as the goal of the winning the elusive Masters begins to consume him. There is no cause for any serious alarm even if McIlroy went into the tournament trying to win the Masters at the 10th time of asking. The last three times would have been the most demanding. The Green Jacket was all he needed to complete the slam and the pressure has been telling. The longer the wait went on the bigger the elephant in the room became. McIlroy has cut a relaxed figure when asked about it by the media. Having $200m in his bank account must help him find some positives. We can safely say that financial reward is no longer a worry of McIlroy’s. That is arguably why winning the grand slam will be a greater task than he first imagined. From time to time McIlroy has been accused of not trying hard enough. Becoming a millionaire is far from the norm in life. What is even further from the norm is becoming one by 18. Granted, McIlroy has won a lot since coming into money but one can’t help but wonder if the massive amount of wealth he has accumulated has weakened his will to win. Whatever the case, it doesn’t hide the fact that he went nearly half a decade without a major. For mere mortals, going four years without a major win wouldn’t be considered a drought. In some cases, it would be the expectation. No one is talking about how Roger Sloan hasn’t won a major. Purely because none of us expect him to win one, ever. Rory doesn’t escape the spotlight that easily. With every ‘failure’ at a major, another nail is put into his grand slam coffin. Rory will never be able to fully block out the noise that is created around him. He has been good though at getting it to drop a few decibels. Blowing the field out the water at the API let him enjoy some well-earned silence. As far as competitive fields go in world golf, what we are witnessing now takes some beating. The generation that has come through with Rory are every bit as good. The strength of the competition has also played a part in Rory’s major drought. Jordan Spieth is the favourite in the Open betting and Dustin Johnson favourite for the US Open. There’s no easy ride, which is making the task at hand a lot harder. What does winning at Arnie’s mean? Golf fans are crossing everything they have in hope that winning at Bay Hill will ignite a sustained major charge for Rory. The truth of the matter is that there wasn’t a better time to have won that event. Even a player like McIlroy loses confidence. There’s no substitute for winning as the perfect remedy to get that bounce back in his step. 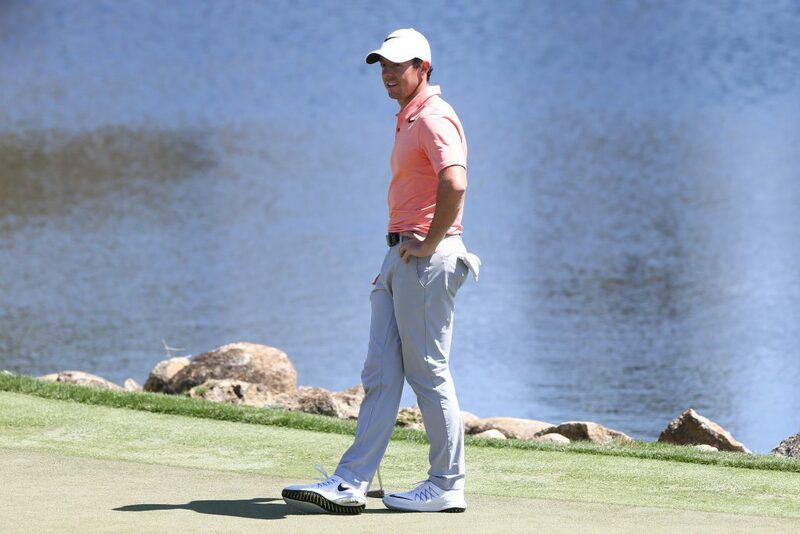 The week after winning the API, Rory headed down to Texas for the WGC-Dell Match Play. Entering the week as the favourite only lasted 5 holes as he found himself 4 down against Peter Uihlein. It would be a first-round exit for Rory. Falling flat like that after having won such a big event 72 hours before is not unheard of. The last time Rory was seen after his win at Bay Hill was with the media as he toasted the late Arnold Palmer. The chosen tipple was vodka and it looked a merry occasion. There may have been mitigating factors explaining Rory’s limp display in Texas if the size of the vodkas he was pouring was anything to go by. It was important Rory got back in the winner’s circle somehow before the year’s majors got underway. Regardless of how he has performed since, he needed that winning feeling back again. Having now got it back he will be believing once more. Heading into 2018 and beyond he will more relaxed. It seems inconceivable that Rory McIlroy won’t fulfil his destiny. At some stage over the next 20 years, it has to happen. There are no guarantees in golf and you are only as good as your next swing. If McIlroy can muster the enthusiasm and desire to one day conquer Augusta and the rest of the majors then he will. You feel everything will fall into place after that happens, whenever it may be over his career. Recent successes are great but count for very little when you’re heading down the back 9 on Sunday during major championships. Nothing he did before the year’s big events got underway will have made the task ahead any easier. It’s a unique challenge ahead that Rory faces and he will have to find a way to overcome it.